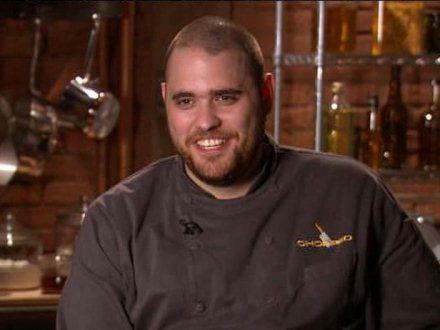 Chef Christian Petroni, Executive Chef and General Manager of Barcelona Wine Bar and Restaurant of Greenwich, CT (www.barcelonawinebar.com) took home $10,000 as the winner of Food Network’s hit TV show CHOPPED. “The most un-usual ingredient I had to cook with had to be the cotton candy, who ever cooks with cotton candy?” Petroni laughs. Chef Petroni began his career as a DJ at Trotters Tavern in White Plains, NY under the direction of his friend and mentor Anthony Goncalves. Upon graduation from the New York Restaurant School, Petroni worked the line at Marriot Hotels. When Goncalves reconceived Trotters, he contacted Petroni to work with him in the kitchen. Petroni oversaw the kitchen and worked his way from expedition to sous chef. Petroni then moved on to Peniche Tapas Restaurant in White Plains, NY with his friend Goncalves where he oversaw the kitchen and continued to explore Spanish and Portuguese-inspired tapas utilizing local and organic ingredients. Now garnering rave reviews for his inspired menu at Barcelona, from critics and consumers alike, Petroni continues to raise the bar of the area’s food scene.